As crude oil break 79 support, we see that there might be risk of Oil related counter moving further down. 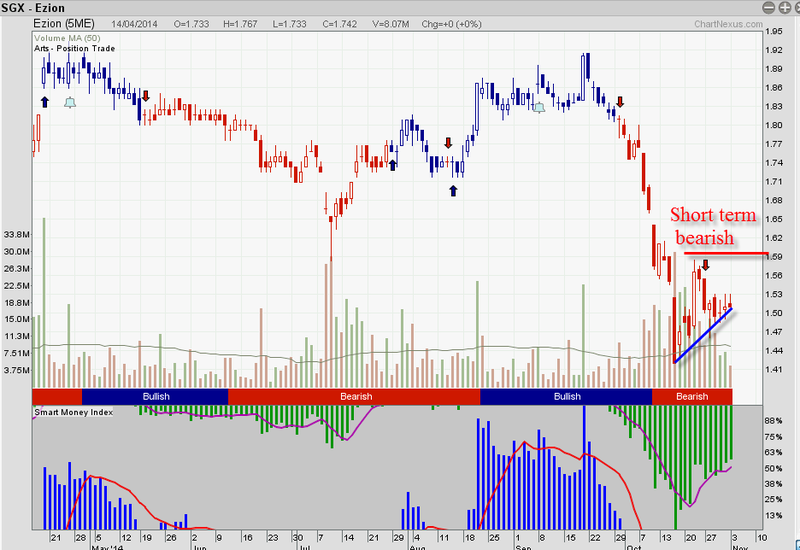 Ezion could be one of them, ART position trade system show bearish since 1.80, currently trading at $1.495. Resistance at 1.59, stoploss can place at 1.59 if you are shorting to manage your risk.